Factual: What is fast fashion?​ ​What is planned obsolescence? Conceptual: What does sustainability really mean? What is the circular economy? Debatable: How close are we to a sustainable society? Who is responsible for sustainability? Millions of tons of textiles end up in landfills and incinerators around the world every year. This is a problem as the textiles industry uses huge amounts of raw materials, water, energy and chemicals for the production of their products. It is often claimed that this industry is a prime example of an industry that is not sustainable. As designers (and world-citizens), we have a responsibility to design and create with sustainability first and foremost in mind. Governments, industry and consumers ask us to come up with better solutions to the life-cycle of textiles. 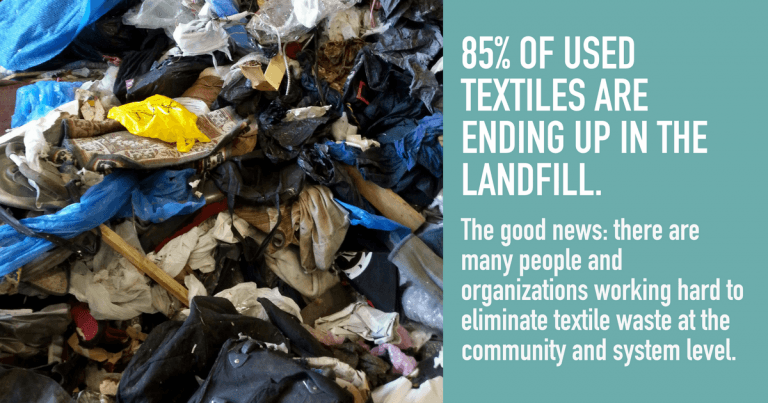 Your challenge is to recycle a fabric or textile and provide a proof of concept that what you have done can meaningfully be done on a much larger scale. This task specific clarification sections (above) tell you exactly what is expected of you in this design project. Throughout each section, ‘command terms’ are used to indicate the depth and extent of the work that is expected. Use the list below to look up the meaning of each command term when you encounter them. I can, of course, provide additional advice. Break down in order to bring out the essential elements or structure. To identify parts and relationships, and to interpret information to reach conclusions. Display information in a diagrammatic or logical form. To evolve from one’s own thought or imagination, as a work or an invention. Give the precise meaning of a word, phrase, concept or physical quantity. Prove or make clear by reasoning or evidence, illustrating with examples or practical application. Give a detailed account or picture of a situation, event, pattern or process. Produce a plan, simulation or model. To improve incrementally, elaborate or expand in detail. Evolve to a more advanced or effective state. Assess the implications and limitations; make judgments about the ideas, works, solutions or methods in relation to selected criteria. Give a detailed account including reasons or causes. Identify Provide an answer from a number of possibilities. Recognize and state briefly a distinguishing fact or feature. Justify Give valid reasons or evidence to support an answer or conclusion. List Give a sequence of brief answers with no explanation. Outline Give a brief account. Present Offer for display, observation, examination or consideration. Prioritize Give relative importance to, or put in an order of preference. State Give a specific name, value or other brief answer without explanation or calculation. Abstract a general theme or major point(s).